Over the last 6 years, the mobile phone buying public has enthusiastically embraced the smartphone. Prior to that Nokia ruled the pre-smartphone market, with a long succession of phones running the Symbian operating system. Of late Nokia has made a strong comeback with some nice looking, well-specced Windows smartphones. And now this, the new Nokia 515. It’s essentially a dumbphone with a smart camera. The Nokia 515 runs on the Series 40 operating system, first used by Nokia in 1999. The phone case is primarily made from a single piece of anodised aluminium, with the keypad is a transparent plastic resin. 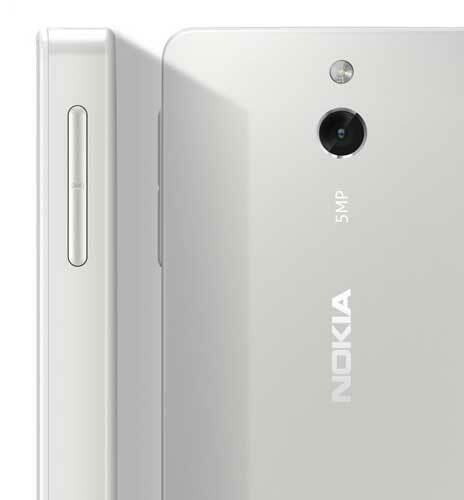 The Nokia 515 measures 114 x 48 x 11 mm (L x W x D), weighing in at 102.7 grams. The battery is 1200 mAh, providing up to 22 days of standby power with the single SIM card model, or 18 days with the Dual SIM model. Talk time is up to 10.4 hours on 2G, and 5.3 hours on 3G. Internet connectivity is up to 3.5G HSDPA. Mail for Exchange is the email system of choice, using SMTP, IMAP4, POP3, IMAP4 IDLE mail protocols. The phone’s web browser is the Nokia Xpress Browser. Built-in apps include Facebook, Twitter, and WhatsApp, plus Dictionary, Recorder, Calculator, Clock, World clock, Calendar, Converter, Notes, Alarm clock, Reminders, To-do list. The phone will hold 1,000 contact cards. The Nokia 515 has 64MB of RAM, while internal storage is via Micro D, up to 32GB. “To me, it’s not about the individual ingredients, It’s not only the colours or the materials or the shape. What makes a phone look like a Nokia is the approach. It’s how we build things. The Nokia 515 accepts Micro SIM cards, and will be available in both single and double SIM card models. It will also be available in two colours, black and silver. 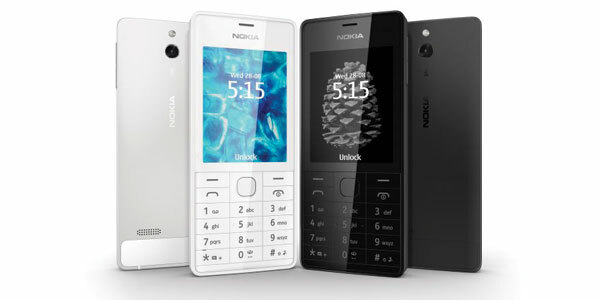 The announcement of the Nokia 515 was made in Russia, and the phone will be available first there in September, and Germany, Switzerland and Poland, with a global release to follow. The only pricing details released are for Europe and the US, being 115 Euros and US$149 respectively. Next ArticleQX10 lens camera – where Sony and iPhone 5S rumours meet? Well I must say that your article title is well justified with the content. Nokia 515… reminding us old days of mobiles.